The universe of computer networks is growing in an extraordinary stage. As it is evolving in a greater manner, the security is becoming a noteworthy worry for the organizations so we wanted to make an entire Network Security Provider in UAE. The associations must be watchful against the outside security dangers that may influence the authoritative information and set up. The truth of the matter is that the network security ought to be given most extreme significance and couldn’t be denied in at any rate. With the great network security framework, every one of the records and the hierarchical and individual information is remained careful and are shielded from illicit access from the outside and internal assaults. Network security is central to smooth operations of each organization and this is a reality that is considered important by us. Why you have to pick Telephony as Network security provider in UAE? Detailed spam audit capabilities with insightful, informative and granular reports. Review of security settings around key network elements (HLR/AUC, MSC, IN, GGSN/SGSN, SS7 etc). Review of interfaces with VAS and OSS/BSS elements. Identifying potential security risks and possible impact and severity. Review of security strategy and management from an organizational perspective. Security incident reporting & escalation processes. Review of security implementation tools. Facilitates the security of information being shared with other computers on other networks. Prevents the hackers and spyware attacks from the internet. 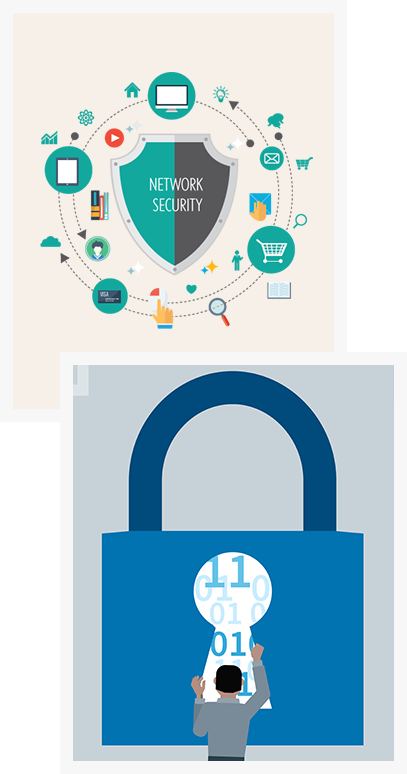 What exactly is the network security? How will it affect your organization? How is the security important to your organization? What are your backup and password policy? What measures are in place for the current security? What threats you normally face in your network? At that point, after the detailed investigation, we design and propose a network security arrange for that functions admirably with the association. It guarantees that your information is secured with you. These are just a couple of uses to name in which we work yet our genuine scope of operations is substantially bigger, because of a different gathering of IT engineers that we have. It is our expectation to furnish our customers with most ideal administration according to their requests without giving them the reason for being brand or equipment particular.